How can you make a high quality cosmetics without first removing all those substances that are harmful to the health of our skin and our environment? From a question comes our Philosophy: Less is more. Most of the cosmetics on the market are not suitable for sensitive and stressed skin and for skin damaged by prolonged pharmacological treatments and therapies, such as intense chemotherapy and radiotherapy. Much more because the skin loses its specific barrier function under certain conditions, becomes particularly fragile, sensitive and reactive. USE – Parabens are synthetic preservatives against mold, fungus and bacteria and prevent the oxidation of the products. They are used for more than 50 years as preservatives in the cosmetic industry (even among the most prestigious companies), pharmaceutical, and food industries. ADVERSE EFFECTS – They are becoming increasingly controversial, coming to be regulated or expressly forbidden, for example in France, however, in the role of endocrine disrupting for their ability to mimic an estrogen action with possible relapse in health effects: from any promotions in occurrence of tumors to estrogen-sensitive risk factor in the increasing prevalence of early puberty in girls. ATTENTION TO THE LABEL – methylparaben, ethylparaben, propylparaben, isobutylparaben, butylparaben, benzylparaben and similar. Benzyl Alcohol & Dehydroacetic Acid combination of eco equivalent preservatives, multi-use and broad spectrum. Dehydroacetic Acid and Benzyl Alcohol are both organic compounds that are accepted for natural cosmetics, offering a wide spectrum of stability in a wide pH range. The organic preservative system is a non-paraben preservative, does not contain formaldehyde, it is not isothiazolinone preservative system. Sodium Benzoate & Potassium Sorbate are additives for alimentary use, highly tolerated and eco-certified. Sodium Benzoate is the salt of benzoic acid, which is found naturally in many foods, such as cranberries, apricots, mushrooms and cinnamon. It is a natural bacteriostatic and fungistatic. Potassium Sorbate is an antifungal agent, that is made by reacting potassium hydroxide with sorbic acid, a carboxylic acid found in nature. USE – The glycols, also known as diols, are chemical compounds used as solvents in many pharmaceutical preparations, in formulations for oral, injectable and topical use. 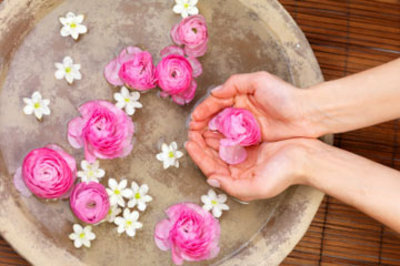 In addition, they also have humectant, anti-microbial properties and are used to reduce the viscosity in cosmetic products as a vehicle for active ingredients and as a solvent in the extraction of fragrances and perfumes. ADVERSE EFFECTS – Studies show that they are potential carcinogens with the high degree of toxicity even for the environment (since they are also used in antifreeze and in many other products). They are easily absorbed through the skin and this increases the danger and the risk of allergies, hyper sensitization, irritation. ATTENTION TO THE LABEL – The glycols are: Propylene glycol, Butylene glycol, Pentylene glycol, Dipropylene glycol and similar. Propylene Glycol (also called 1,2-propanediol), Butylene Glycol (also called 1,3-Butanediol), Pentylene Glycol (also called 1,2-dihydroxypentane, 1,2-pentanediol, pentane-1,2-diol), Dipropylene glycol, Methylene glycol, Trimethylene Gycol. Polyethylene glycol (PEG) and PPG Polyethylene glycol. ALTERNATIVE – Glycerin or Glycerol is an excellent humectant. It has hydrating, lubricating and emollient capacity with the high skin tolerance. It is highly hygroscopic by its nature, therefore able to absorb moisture from the air, regardless of varying conditions of atmospheric moisture. Thus, glycerin is intended to be a multipurpose and safe substance from the technological and dermatological point of view. USE – The silicones are chemically synthesized substances. For their particular chemical-physical characteristics they are widely used as additives in traditional cosmetics even by very prestigious cosmetic companies. They form an invisible film on the skin or hair, that has a momentary and illusory sensation of softness. They are also widely used in the preparation of sunscreens to make them water-repellent. ADVERSE EFFECTS – It is a carcinogenic agent, the studies show their influence the endocrine system. A constant use threatens to dehydrate the skin even more. They also have a considerable impact on the environment, since the silicone derivatives are hardly biodegradable in the water of sea or river. ATTENTION TO THE LABEL – In most cases we can recognize them for the suffix “-one” or “-xane”. Cyclopentasiloxane, Cyclotetrasiloxane, Cyclohexasiloxane, Cyclomethicone, Dimethicone and similar. ALTERNATIVE – The vegetable oils with the similar silky effect exist or the Caprylic/Capric Triglyceride widely used, a triester of glycerol with synthetic acids C8-C10. It is a good substitute for vegetable oils and more stable to oxidation, because it is completely saturated. The low molecular weight gives it a silky touch. Thanks to the remarkable softening properties, it is able to form a lipid film that reduces the loss of water from the stratum corneum. It is a versatile and safe ingredient. There is no limit concentration of use. USE – Preservative against bacteria, fungi, yeasts. It prevents an oxidative effect in the products. ADVERSE EFFECTS – It is proved that releases formaldehyde. ATTENTION TO THE LABEL – Diazolidinyl Urea or Germall 115. USE – BHA is an antioxidant known as Butylhydroxyanisole. ADVERSE EFFECTS – This substance, metabolized by the body, has been recognized by the European Commission as a carcinogen and can have a negative effect on the endocrine system, that is why the FDA (Food and Drug Administration - the government agency of the United States) establishes a maximum allowable limit for this substance. Other antioxidant often used is BHT, it can also cause allergies, but be careful, because its use is not regulated by the European Commission. ALTERNATIVE – Rosmarinus Officinalis Leaf Extract is the extract of the flowering tops of Rosemary. It naturally performs a powerful antimicrobial and antioxidant action and that allows to perfectly preserve the oils. USE – An adjuvant of preservatives performs a chelating action. It helps to sequester the possible heavy metals contained in preservatives or in the product. ADVERSE EFFECTS – They are highly polluting and hardly biodegradable. ATTENTION TO THE LABEL – Disodium EDTA, Tetrasodium EDTA. ALTERNATIVE – The chance to find pollutants and heavy metals within the active ingredients and the final product is reduced significantly through a careful and certified selection of raw materials and attention processes, in the treated water and the machinery. USE – synthetic polymers are also derived from petroleum and are used only to give the product the desired consistency. ATTENTION TO THE LABEL – It can be recognized by the prefixes “acrylic” and “polymer”, for example polyacrylamide or carbomer. ALTERNATIVE – Tetragonoloba Cyamopsis Gum, more commonly known as Guar gum, is an annual herbaceous plant of Indian origin that produces fruits (pods) containing 5-9 seeds, from which the famous guar gum derives. From the chemical point of view, it is a polysaccharide hydrocolloid. It has the natural ability to absorb significant quantities of water, with which it forms very viscous solutions. It is a great natural gelling and thickening agent. USE – It is used as a solvent and emulsifier. It performs a powerful antibacterial action. ADVERSE EFFECTS – Very irritating, decreases skin hydration and compromises the barrier effect of the skin. ATTENTION TO THE LABEL – They are distinguished because they usually have the suffix -ol, Methyl Alcohol (Methanol), Ethyl Alcohol (Ethanol), Isopropyl Alcohol (2-propanol) and similar. ALTERNATIVE – Do not use ethyl alcohol in the formulation because it is aggressive. Do not confuse ethyl alcohol with cetyl alcohol. The second Cetyl Alcohol is a higher alcohol with characteristics and properties completely different from the first. It is used as an emulsifier, emollient, thickener and opacifier. It confers to the product consistency without weighing and at the same time it improves the smoothness on the skin. USE – There are products derived from chemical reactions, and can offer a wide range of colors and shades. From the chemical point of view, synthetic dyes include many chemical molecules, such as azole (CI 15985), xanthene (CI 45170), anthraquinone (CI 60725), triphenylmethane (CI 42090), indigoid (CI 73015) derivatives and others. ADVERSE EFFECTS – They are irritants to the skin, potentially toxic and carcinogenic. There are a lot of them and they may cause allergic reactions, in most cases they come from chemical synthesis or, even worse, may be derived from dead animals as in the case of the dye CI 75470. ATTENTION TO THE LABEL – They always have the initials CI followed by a multi-digit number. ALTERNATIVE – The natural dyes are made from plants. If we compare them with synthetic dyes, we can notice that they have a considerably lower yield. Many of these are allowed, from the legislative point of view, for alimentary use. Classification of dyes. All natural dyes have an identifying number of the color index ranging from 75000 to 75999. ATTENTION EXCEPTION – Zinc Oxide, protective, absorbent and mattifying and valuable ally in relieving irritation and redness in the most stable, secure and non-nano form, that is accompanied by CI 77947. In this case belongs to the family of dyes, because it is illuminating thanks to the “white patina” that leaves on the skin. This substance is safe, well tolerated and also ideal for the care of infants, of fragile intimate parts. USE – With the abbreviations DEA (Diethanolamine) and TEA we talk about Mono-, Di- and Tri-ethanolamine. These are substances that regulate the pH. They also have a solvent and emulsifier action and in some cases can have humectant properties. ADVERSE EFFECTS – They have been recognized as highly irritating and possibly carcinogenic. They can react with other compounds and generate nitrosamines, which are declared carcinogenic substances. ATTENTION TO THE LABEL – Ingredients that begin or end with the letters MEA-TEA-DEA, for example Cocamide DEA, Lauramide TEA. ALTERNATIVE –Lactic acid is an organic acid that employed at very low percentages acts as a pH regulator and skin conditioning and for this can be an alternative to the TEA. Green surfactants from vegetable origin and high skin tolerance may instead replace the action of the DEA. USE – Oxybenzone (benzophenone-3 or BP-3) ​​is an organic compound mainly used as a photostabilizer within sunscreens. This is a chemical filter that protects the skin from damage caused by UV rays. ADVERSE EFFECTS – It has been shown that oxybenzone penetrates the skin and acts as a photosensitizer. This means that there has been an increase in the production of free radicals with the exposure of the skin to light. Also, it is a derivative of benzophenone, a substance that may attack DNA in the presence of light, and recent studies believe there are links between the increased incidence of melanoma and these ingredients. It can act in the same way as the hormones estrogen, causing the development of skin tumors. Not to mention the fact that the most immediate reactions may occur in case of very sensitive skin, like inflammation or eczema. Other concern relating to oxybenzone affect percutaneous absorption by the body. According to the study conducted at the national level by the US Centers for Disease Control and Prevention, this chemical compound was found in 96.8% of urine samples tested. That means that even after the application of oxybenzone on the skin, this one is absorbed remaining inside the body. It is recommended to not apply products containing oxybenzone on children. For children under the age of 2 years have not fully developed the enzymes necessary to break down the derivatives of this compound. ATTENTION TO THE LABEL – Benzophenone-3, 2-benzoyl-5-methoxyphenol, 2-hydroxy-4-methoxybenzophenone, (2-hydroxy-4-methoxyphenyl)phenylmethanone, methanone, oxybenzone (benzophenone-3)​​, dioxybenzone, b3, DuraScreen, Solaquin. ALTERNATIVE – Combined physical screens should be used: Titanium Dioxide, Zinc Oxide and a high % of unsaponifiable oils that increase the skin’s ability to reflect sunlight. USE – They are surfactants act by reducing the surface tension of liquids, increasing viscosity and silky effect in products. They also make a foam in soaps. ADVERSE EFFECTS – They have high irritating power. Continued use of products containing SLS causes dehydration of the skin and hair, and alteration of the hydro-lipid film. ATTENTION TO THE LABEL – The best known is Sodium Lauryl Sulfate also known as Sodium Dodecyl Sulfate or SLS. ALTERNATIVE – Eudermic delicate surfactants of vegetable origin extracted from coconut and/or olive oil. In addition to being surfactants they are raw materials with humectant, conditioning, moisturizing and nourishing action, working together make the product silky, easy to rinse. The advantages are that they are Eco-cert, Silicone-free, 100% naturally derived and biodegradable. USE – Triclosan is a chlorophenol active on many bacteria, used as an antiseptic and disinfectant for a long time. It is used in some countries in concentrations up to 2% to disinfect wounds, skin and hands. It is a very common antimicrobial agent in Italy in a wide variety of common products such as soaps, deodorants, detergents for the house and in toothpastes and mouthwashes for prevention and treatment of plaque and gingivitis. It is permitted to use at a concentration up to 0.3% in cosmetic products. Triclosan works by blocking an enzyme needed for the growth of bacteria and small amounts are sufficient to exert a strong antibacterial action. ADVERSE EFFECTS – The only side effects reported in humans following exposure to triclosan are the cases of contact dermatitis or skin irritation. One of the reasons on which the current concern about the safety of triclosan is based is the fact, that the massive spread of this antibacterial compound can cause an increase the bacterial resistance to common antibiotics used in the medical field, which would have important consequences, especially in a hospital setting. A further suspicion of dangerousness of triclosan seems to be connected to the possible formation of dioxin as an impurity during the synthesis processes of the product. During these processes the quantities of dioxins that are formed, even if variable, are always very low and depend on both the purity of the raw materials from which the process starts and the production conditions (eg. temperature, the pressure in which the reaction conducts). But the ubiquity of this compound is finally demonstrated by the discovery of traces of triclosan in the fatty tissues of fish and even in breast milk, confirming that continuous exposure even to very low concentrations can lead to the absorption of the product also in living organisms. The effect on the human body seems to be connected to dangerous alternations of the endocrine system. ATTENTION TO THE LABEL – 5-chloro-2-(2,4-dichlorophenoxy)phenol, 2,4,4’-trichloro-2-hydroxydiphenyl ether, trichloro-2’-hydroxydiphenyl ether, CH 3565, Lexol 300, Irgasan DP 300. ALTERNATIVE – Plant extracts, deterpenated essential oils, ozonated oils with antimicrobial and antibacterial action. Eco-cert, 100% naturally derived and biodegradable. USE – Mineral oils, are also known as petrolatum, are a class of compounds derived from petroleum by distillation. The most popular products are vaseline and paraffin. They are widely used in cosmetics for its emollient properties and as a vehicle for fat-soluble active ingredients. Applied to the skin, they form a lipid film that prevents the loss of water from the surface layers, reducing dehydration and helping to keep it soft and smooth, giving an apparent feeling of smoothness. ADVERSE EFFECTS – Applied to the skin, form a lipid film that could lead to occlusion of the pores resulting in comedogenic action of the acne-prone skin. Proper skin perspiration is affected, as well as its delicate microbiological balance. Therefore, they are the substances entirely foreign to living organisms and to our skin. They are not biodegradable. The aim is also to prevent dehydration of the skin: the “film” on the skin prevents the evaporation of water contained in it. But in this way it leads to an occlusive effect on the pores of the skin: which can not perspire and breathe in any way. ATTENTION TO THE LABEL – Business names under which you can find on the label: mineral oil, petroleum jelly, petrolatum, vaseline, paraffinum liquidum. ALTERNATIVE – The clever blending of natural vegetable oils and butters that can ensure the product viscosity, density and fluidity. These fats have the characteristic to bring to our skin eudermic substances, nutrients and vitamins. For example, Almond Oil, Olive Oil, Shea Butter, Grapeseed Oil, Apricot Oil and Borage Oil.